In my opinion, you can never have too many shoes. But when you have limited closet space like me (so much that I actually have a dress rack in my brother's room - he's not too happy about that), I'm thankful for any ways to condense the amount of space my shoes take up. Enter Lindsay-Phillips collection of Switch-Flops and Snap Shoes. 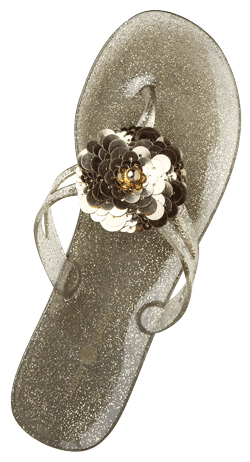 Her innovative style of shoe allows you to change either the strap or the jewel of your shoe. This way, you can have tons of interchangeable straps and snap buttons that you can wear a new shoe everyday. I've got two pairs of snap shoes and hoping to buy my third soon. They're comfortable, cute, and affordable, and there's a variety of styles making it easy for everyone to find a pair that they love. What more could you ask for?! Be sure to check out her website here to see the variety of options and to place your order. You can choose the shoe you like, and then choose a snap or strap to see how they look together too! Well, to go along with my previous post, designer Elie Saab seems to agree with my love for girly pastel pieces. His Fall 2011 Couture runway that was released on the Paris runway at the beginning of this month included flowy dresses in pastel looks, along with a white, taupe, bronze, navy and charcoal color palette. The simplicity and sheerness of each look exudes a simply chic and somewhat whimsical style. He even includes a potential ivory wedding dress (pictured on the right)! There's not one piece in this whole collection that I don't want hanging in my closet, especially since I'm a sucker for sheer clothing and lace (which is probably why he's one of my favorite designers). 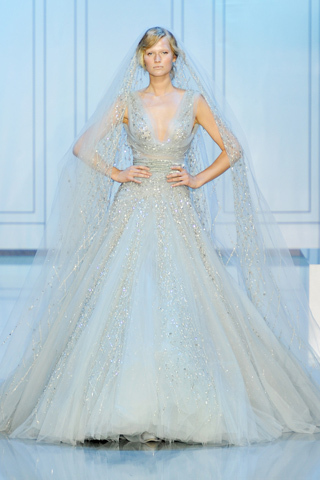 If only I could afford to blow all my money on couture...a girl can dream. If you're smitten, like myself, with the few looks that I've chosen to feature here, be sure to check out the entire collection here. Who says pastel colors are only for Easter eggs and candy?! Yellows, pinks, blues, and greens, I love them all and they can be found everywhere, from clothes to shoes jewelry to nail polish to makeup.The light yet bright colors are perfect for the summertime and look even better with a nice summer glow. My favorite way to wear pastels is on my nails. A simple pop of color can go a long way, and there are tons of different shades to choose from. What are your favorite pastel pieces? I was recently reading the August 2011 issue of one of my favorite magazines, Glamour. In the fashion section, they featured a blogger who was wearing a denim top paired with denim jeans. 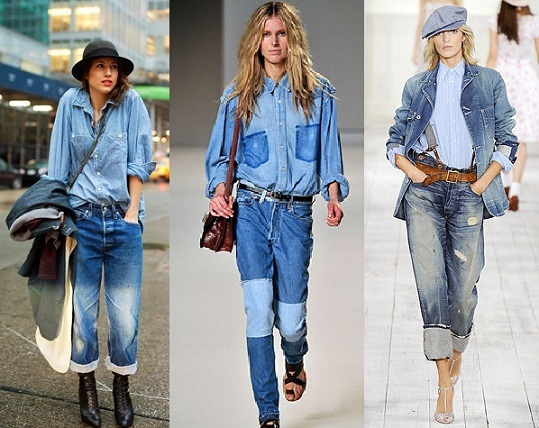 They seem to think that denim can be worn in various shades, on various articles of clothing, all in one look. Personally, I'm not a fan. 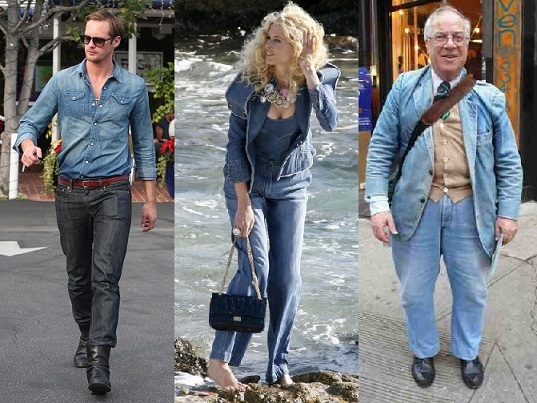 I have yet to see someone pull off what I like to call the "denim suit." 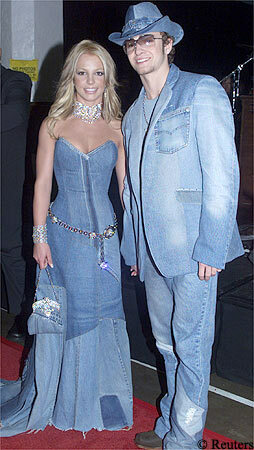 The denim suit is when someone wears denim from head to toe, whether it be a jean skirt paired with a jean jacket, or, dare we say, a literal denim suit as seen on Justin Timberlake below...what was he thinking? Best Blog Award & Hair Cut! 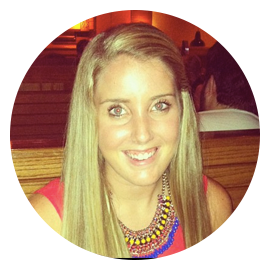 Yayy, another nominee for a Best Blog Award! This is my third blogging award, click here and here to see my previous posts, and thanks to Maycie After Five for nominating me! Here's 7 random facts about me and my answers to the questions! 1. I wanted to be a vet when I was younger. 2. I still have items of clothing that I haven't worn...and I've owned them for over a year. 3. I really want to move to New York City after I graduate college, but I've never even been there! 4. I used to love the Jonas Brothers! 5. My favorite drink is Diet Coke. 6. I still have the same stuffed animal that I've had since I was born, Bunny! - Everyday attitude - Happy I guess! So there's all my answers! Thanks for all the responses about ideas for getting my hair cut. I talked to my stylist and she didn't think layers would be good in my hair since it's so thick, so instead, I cut nine inches and got it framed around my face a bit. Here's some photos, tell me what you think! Who Wore It Best? Leighton Meester has worn a lot of the same outfits as her co-starlets, but in my opinion, she usually wears it better! What do you think about Leighton's style? Leighton Meester vs. Ludivine Sagnier. I'm not a huge fan of this Giambattista Valli dress on either Leighton or Ludivine. Although I do like the orange color on Ludivine, I think that Leighton definitely pulled off the look better overall. Leightion Meester vs. Astrid Munzo. I love Leighton in this Elie Saab dress. She absolutley looks better than her opponent, Astrid. Her accesories and styling made the outfit cohesive, chic, and still simple. 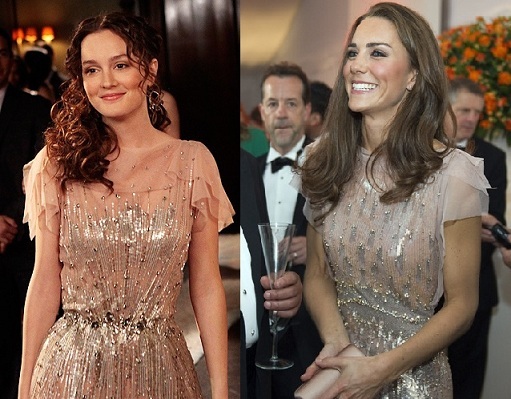 Leighton Meester vs. Kate Middleton. As for this Jenny Packham dress, I'm going to have to go with Kate instead of Leighton. This photo of Leighton was actually from a scene of Gossip Girl, so it isn't her personal style. Regardless, Kate looks flawless as always. What's your opinion? Help Me Find a Hairstyle! ﻿Getting my hair cut is always a huge event for me. I have super thick, blonde hair, and whenever I sit in that chair at the hair salon, I freak out. I'm planning on getting my hair cut, and probably highlighted, before I go back to school in August and I'm on the prowl for something new that I can do to my hair. A little background story, when I was in second grade my hair was starting to get really thick and I just couldn't take care of it by myself. My mom would always have to brush it, and of course, I would get major knots. Tears were shed, my scalp was constantly hurting from brushing it so much, and my mom had to actually cut out knots sometimes when they got too bad. That being said, she decided that the best idea was to cut my hair super short - just below my ears. I hated it, to say the least. 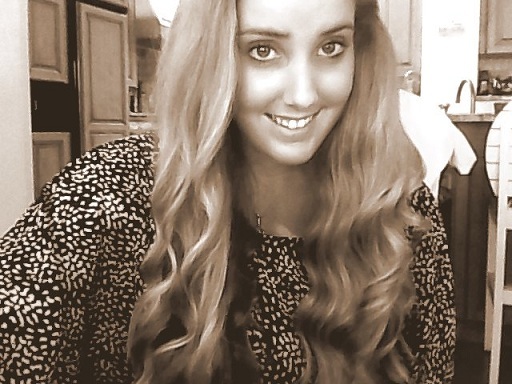 I've grown out my hair ever since then and I'm so scared to cut it short again. My hair is so thick that when it's cut short, it just poofs out and looks enourmous, not flattering. I was awarded "Best Hair" in my high school superlatives due to my long hair, but now, I feel like I need a little bit of a change. 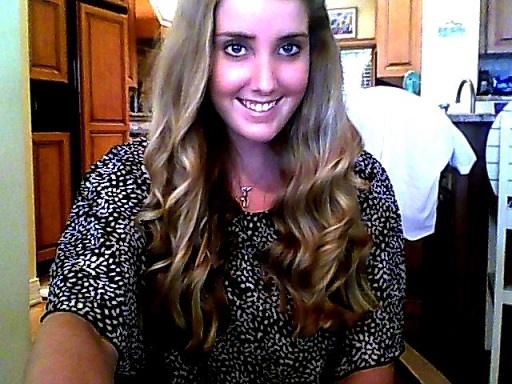 I'm not sure if I should try layers, or a shorter length, or maybe even a color change. You can see what my hair looks like now in the pictures above. I could use any and all opinions! I'm being pulled in all directions from people telling to not cut it at all and other telling me to chop it all off. Help me! I absolutely adore Lauren Conrad. I think she's super classy and fabulous, and of course, always beautiful. She always knows how to present herself and she hasn't rocked a hairstyle that I haven't liked yet. 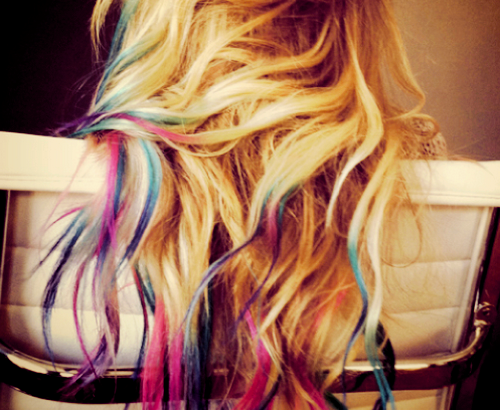 In fact, today she decided to dye her tips these bright colors. It's so bold - I love it! 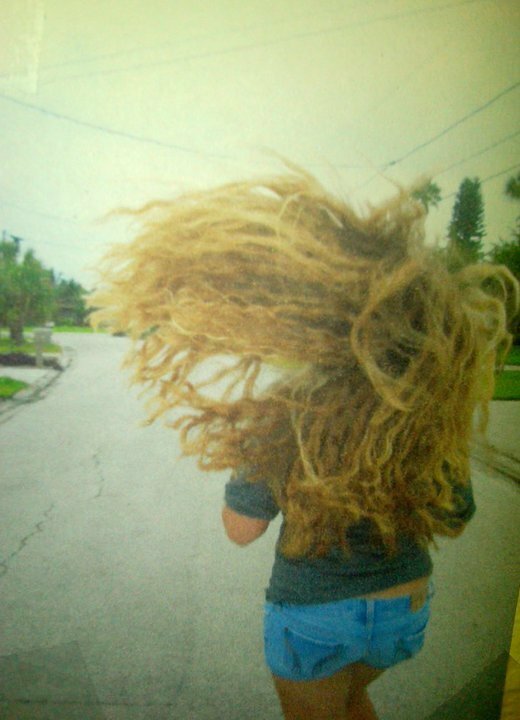 It looks so good with that tone of blonde hair, but I just don't know if I could pull off such a daring move. I feel like it might cause more bad attention than good, and I don't know how my family and friends would take such a unique look. What are your thoughts?